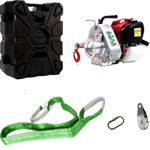 We currently offer two kits to suit your needs. Our kits are designed by industry to ensure the best experience for the user. 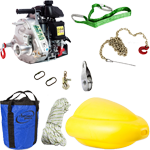 Many customers decide to make their Winch purchase in a kit to ensure they have all the accessories they need for the job, while simultaneously saving money. 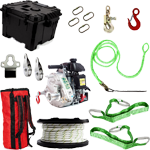 The Hunting Kit features the PCW3000 Portable Winch model, along with accessories needed to help pull your game from the bush with ease. This particular kit has savings of $90. The Forestry Kit features our most popular model, the PCW5000. 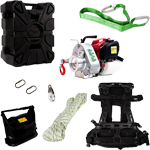 This kit includes accessories that make Arboricultural and Logging jobs more efficient. This particular kit has savings of $100. Which kit is right for you? View the details of the kits to see the accessories included and uses of each. 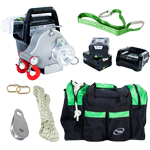 If you are looking into the Portable Winch for uses in another industry, Contact Us and we can help you discover the right Winch and accessories for your particular application.